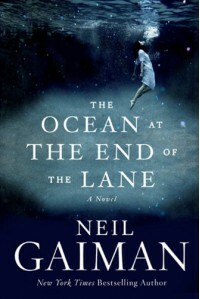 Now is the turn of “The ocean at the end of the lane” by Neil Gaiman. To be honest, I didn’t know what to expect. I read what was it about but didn’t know how it would work the fantasy/reality mix with the little boy’s story. At the beginning I thought it would be really boring, because it started with a man talking about a funeral at his hometown, and then going to a farm where he used to play as a little bot and then an old woman that we started talking to. And I thought, this will be a boring story about a man telling how he used his imagination as a little boy and how cool it was. But guess what… It wasn’t like that. It mixed reality elements with something like magic and adventures. There where parts that I really didn’t like, like when the father cheated with the baby sitter/monster and with a boy looking even if they didn’t know; it was disgusting. But in general, the story was good an interesting. But I thing what I liked the best was the epilogue, how he remembered Lettie and how he cared about her despite of the years, even if he didn’t remember what really happened when he was a boy, like someone changed his memories so he wouldn’t know about Lettie and her family’s true nature. The ending was emotional and satisfactory. In general it was a pretty good book, I liked it. 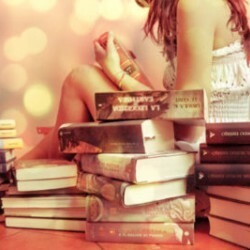 Now is your turn, have your read this book? What did you think about it?